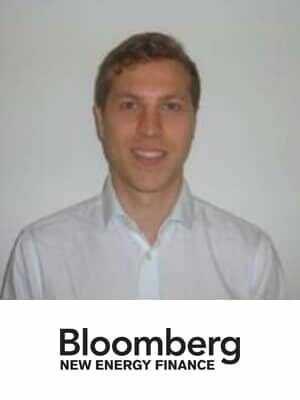 James is an analyst focusing on energy storage within the EMEA region at Bloomberg New Energy Finance. He leverages his background in battery research to provide key insights into the chemistries, applications and markets for Li-ion batteries. James is focused on tracking the development of the energy storage industry and analysing the technologies that are participating in this sector. Prior to joining BNEF, James completed a PhD at the University of Southampton, where his work focused on lithium-oxygen batteries as next-generation energy storage devices. He then went on to work as a Research Fellow at the University of Southampton for two years. James holds a BSc in Chemistry and a PhD in Electrochemistry.